A forced air furnace is a heating system that burns either gas, fuel oil, or propane for heat. 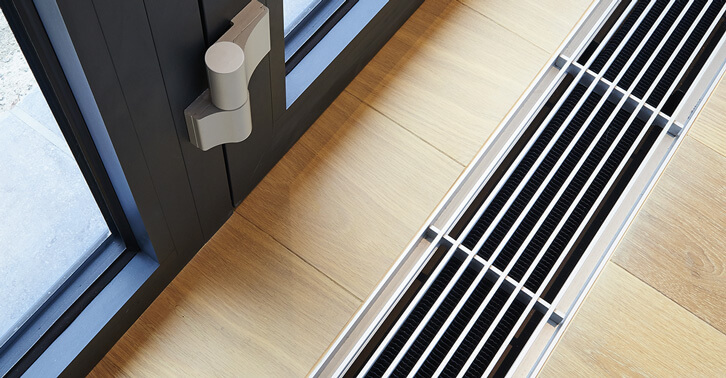 Using return ducts, it takes air from inside your home, heats it, then delivers the warm air back into your home via supply ducts. Forced air furnaces have many advantages over other home heating methods. Below are some of the main benefits and advantages of forced air furnaces. One thing that makes furnaces and other forced air systems preferable to other heating systems is that you can properly condition the air. In addition to filtering the air, you can also install whole-home humidification systems and air cleaners that purify the air as it passes through the system. 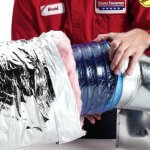 Most furnaces are now equipped with humidification. This allows you to remove a lot of indoor air contaminants and humidity problems that can cause property damage and health problems. Improving your indoor air quality and maintaining healthy humidity levels will also help your system work more efficiently, saving you money and preventing costly repairs and replacements. Natural gas, which fuels the majority of forced air furnaces, is a historically affordable fuel source. It is also clean and efficient. Forced air furnaces, with AFUE ratings as high as 99%, are high-efficiency appliances. New combustion technologies and other improvements have resulted in greater efficiencies. Always consult a qualified professional when shopping for a new furnace. Look for AFUE (annual fuel utilization efficiency) ratings above 90%. 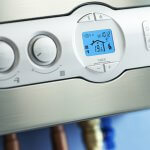 Electric and hydronic heating systems can take a long time to heat up your home. Furnaces have much faster start times and can quickly provide comfort to the entire home in minutes. Forced air furnaces can have a high initial cost, but repair, maintenance, and replacement costs are a lot lower than other heating methods. Known for their longevity and reliability, furnaces have an average expectancy of 15-30 years, surpassing that of heat pumps and boilers. With ongoing professional maintenance, furnaces will continue to operate at high efficiency levels for over two decades. Usually, gas furnaces are cheaper and easier to maintain than oil furnaces. With a gas line, you won’t have to worry about an oil truck refilling your empty tank. You can also enjoy the convenience of a gas stove. Furnaces don’t break down as often as heat pumps or electric heating systems. Nobody wants to wait around in a cold house for the HVAC technician. To reduce the amount of repairs, a furnace is a wise choice. Forced air furnaces work with central air conditioners to provide year-round comfort. Using the same ductwork, the forced air system can also double as an air conditioner. You can use the natural gas lines for water heaters, ovens, grills, fire pits, and anything else that requires heat. It is understandable why someone might be fearful of the furnace’s combustion process. If unvented properly, carbon monoxide (CO) and other harmful gases can cause permanent damage and even death. Thankfully, furnaces have multiple safety switches to prevent fires and toxic fumes from entering your living space. Despite the safety precautions of HVAC companies and furnace manufacturers, it is still important to install CO detectors on every level of the home. The benefits of forced air furnaces only apply to those that are properly installed. If your furnace is improperly installed, you could void your manufacturer warranty, cause comfort problems, poor air distribution, and reduced efficiency. 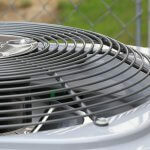 Learn what to know before buying a new HVAC system. Ensure a proper furnace installation by doing your research and choosing the right HVAC contractor for the job. We pride ourselves on quality workmanship every time. All of our work is backed by our 100% Satisfaction Guarantee. All of our technicians are EPA, NATE, and Diamond Certified. 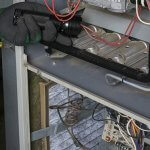 Contact Service Champions today for expert heating and cooling service in Northern California. How Do PureFlow™ Duct Systems Work?